dinner in our apartment. It’s a Mexican classic and one I’d had many times at local taquerias. 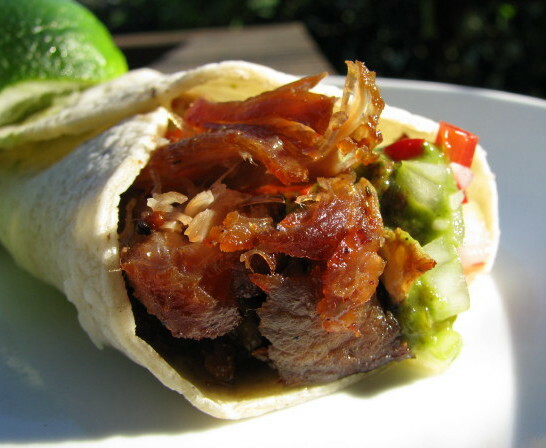 You can find all sorts of recipes for carnitas, involving different meats, flavourings and cooking methods. This pork ‘n’ lard version is the real deal. My method follows that of the chef at Mexico DF restaurant, who shared it after we’d devoured several pounds of the stuff. It is meltingly tender on the inside, crispy on the outside and wonderfully porky. You will be in pig heaven. organised before catching a plane. be easier just to move in when we leave.